The Festival uses light as its principle theme to celebrate Western Australia’s cultural diversity. Light is a common symbol in many cultures, which symbolises concepts such as peace, hope, harmony, knowledge, warmth, sustenance and truth. As such it seems only fitting to use the theme of light to bring together a variety of cultural groups to perform at the Festival. The Festival aims to promote interaction, understanding and appreciation of different cultures. 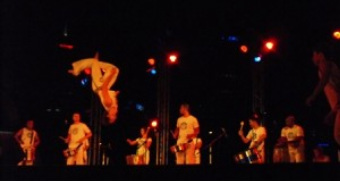 What is a Capoeira collective? A Capoeira collective is a group of like-minded Capoeiristas who have shared beliefs and attitudes about the continuance of Capoeira on the global platform with the common objective of maintaining the ongoing development and evolution of the art form. We are now at the beginning of a new wave of Capoeira culture and celebration. With the collective knowledge, skills, expertise and energy of the masters and teachers; we will all experience a fusion of the past traditions with the present understanding and be part of forging the pathway that will take us into the future. Since our 1st International Capoeira Collective in 2009; we have been fortunate to welcome many international, national & local guests to help us celebrate our annual event. We'd like to express our appreciation to Mestre Sabia - Bahia, Mestre Luizinho - Goldcoast, Mestre Jorge & Mestre Goioere - Perth, Professor Caracol, Instrutor Zoi, Instrutor Lorem, Graduado Geleia - Germany and Vira Lata - Melbourne. It has been our pleasure to present these very special guests to you to guide you along your Capoeira journey. 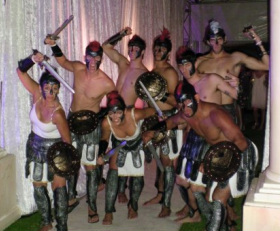 The history of Capoeira dates back almost 500 years and began with the slave trade from Africa to Brasil. The art was practiced in secret and even disguised as a dance as it was outlawed by the plantation owners and other authorities. The philosophy behind Capoeira was and still is similar to a family ethos, one that encourages acceptance, interaction, builds confidence, a common understanding and a taking care of or giving back to the community. These Capoeira principles have held strong and firm over time and are the mainstays of Ancestrais Capoeira; as such we value fun, fitness, healthy mind and body, self respect and respect for our family, community and society. 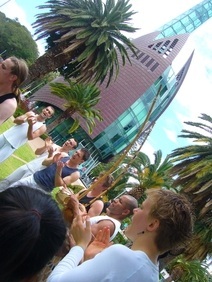 Ginga in the City - summer series 08/09 is an exciting project now underway to celebrate the launch of Ancestrais Capoeira - Brazilian Dance & Cultural Arts; we will be performing in many different locations around Perth - come and check out capoeira and join the fun! The word ‘Batizado’ means baptism which in the context of capoeira is the beginner student’s official welcome into the capoeira family. It’s this time that the new students will receive their first corda ‘belt’ and their apelido or capoeira nickname. This is the most anticipated moment for the young capoeira player to be ready to begin the journey into our capoeira world and prepare for the next levels of capoeira. While this is a very special occasion for the beginner student; the annual batizado festival is a time of celebration for all capoeira friends, students, teachers and masters of our group. After years of dedicated training, many students will be graded and receive the next level cord but all students will learn new skills and increase their cultural knowledge from the lessons given by the visiting guests, teachers and masters who come to celebrate the development of the group with the students. Lots will be happening at our event, there will be Capoeira rodas, workshops of capoeira fundamentals, Berimbau, Atabaque, Pandeiro, Agogo Rhythms and Samba. Capoeira history, movies and lots of street performances were students are able to show to the other capoeiristas what they’ve learned from their dedicated training.